Set in Capability Brown parkland and surrounded by over 5500 acres of rolling Suffolk countryside. Heveningham Hall is in the ideal location for an outstanding shoot providing exceptional sport, with driven game capable of testing the most accomplished gun. The day starts in the Courtyard at Heveningham Hall with coffee and bacon rolls, prior to leaving at 9 am for our first drive, on our gun bus, which will transport you throughout the day. After the first two drives we hold a mid morning break at the Temple or The Bridge with hot sausages, sausage rolls and minced pies washed down with coffee and slow gin. A two course lunch is held after a further two drives in the Tea Room after which we return to the field for a further two drives. At the end of the day we have tea and cake back at the Tea Room where you will meet The Game Keeper and receive a brace of oven ready birds. You can Shoot up to 10 Guns in the field. 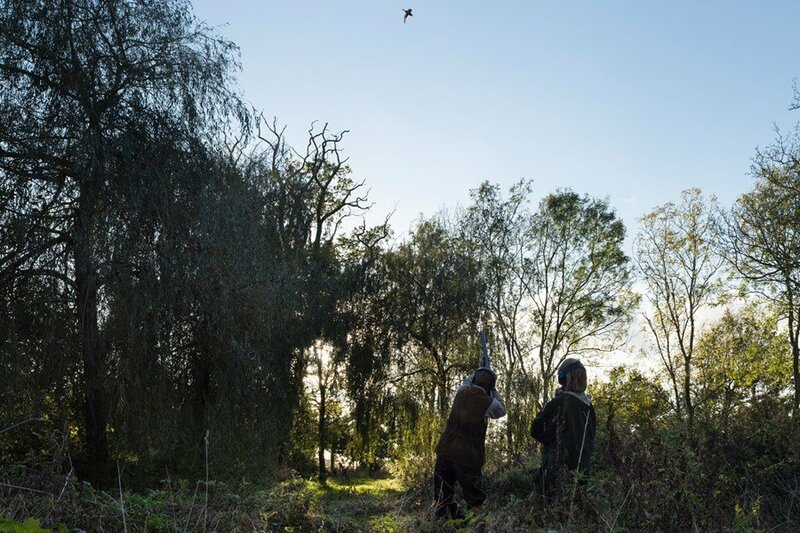 Heveningham offers days from 250 to 400 birds priced at £35.00 + VAT per bird. Back to back days available.